I’m a fan of ultramarathoner Sage Canaday’s YouTube videos produced under his “VO2Max Productions” label. Until watching one of those videos, I had no idea that he had previously written a book. Even when he is recommending his own book, Sage acknowledges that the writing is slightly juvenile and unpolished and even seems a bit abashed to be mentioning it. But really, if you can’t plug your own book on your own YouTube channel, when can you? His criticisms are more or less correct, however. The book does suffer from amateur writing, personal rants that derail the narrative and sloppy editing. 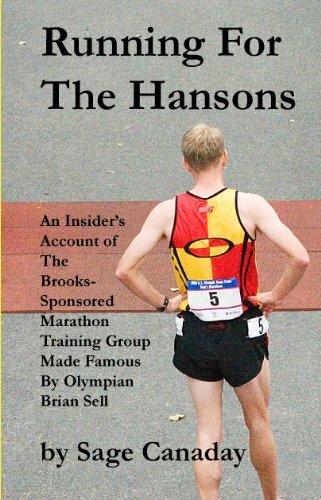 That being said, I still enjoyed this look into the life of a professional runner. Since I’m significantly more interested and knowledgeable about the ultra/trail scene than road and track events, I had no idea Sage was such an accomplished road racer. But it makes sense and is a perfect example of the new trend of crazy fast road runners moving into the ultra scene and crushing races. The lifestyle of any sort of “professional” runner is interesting to me. I enjoyed reading about the workouts the Hanson pros used. Not only are the descriptions inspiring, they also provided a lot of ideas to incorporate into my own workouts, albeit at much slower speeds. This book definitely is not for the casual runner. But how many ultrarunners are that casual about running anyway? But for those people who are either fans of Sage Canaday, come from a road racing background or are interested in the life of a pro runner, this book is a quick, enjoyable read.